We call ourselves Sxollie for a reaon! We’re here to hustle! I find South Africa a very tough place to do business… I’ve been here for four years… It took me 18 months to secure a liquor licence; in Australia it took me six weeks… [He then names example after example of how tough it is to run a small business, compared to other markets he knows]. Karol Ostaszewski founded Sxollie cider in 2014 with his wife, Karol, who formerly owned a cider business in Australia. 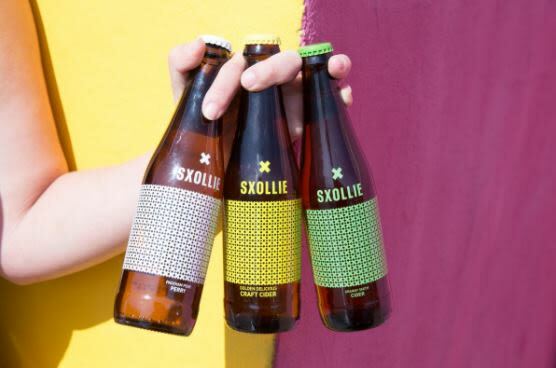 Sxollie cider is made from the best apples from Elgin in the Western Cape, and fermented with Champagne yeasts. Ostaszewski has bagged numerous international awards for Sxollie. Besides South Africa, you can also find Sxollie in the United States, United Kingdom and Singapore. People say I like drinking. That’s wrong. I love drinking. The Money Show’s Bruce Whitfield interviewed Ostaszewski for his weekly “ShapeShifter” feature. It became a no-brainer when we considered the cost of production in South Africa. The UK cannot grow apples! There’s not enough sunshine! It’s bleak out there! Consumers in the UK understand quality, and are prepared to pay for it.